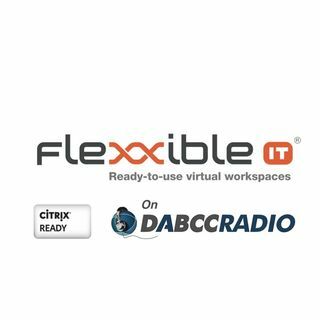 In episode 271, Douglas Brown interviews Kilian Arjona, CTO at Flexxible IT and Sagnik Datta, Technical Marketing Lead for Citrix Ready. Together we discusses the Flexxible IT VDI OS Manager for Citrix XenApp & XenDesktop. Kilian, Sagnik, and Douglas discuss how it works, the problems they solve, why we should care and much more. Flexxible|VDI System transforms a complicated VDI project into a turnkey solution making deployment, use, management and maintenance ... See More easier, faster and more secure. It also provides huge cost and time savings. Flexxible IT bases are: Easy & fast deployment, Simplified Management, Orchestration & Monitoring services. The Flexxible|VDI System is a software & hyperv-converged solution based on Citrix XenDesktop & XenApp that consists of 20 modules. These modules add critical functionality required in any VDI project such as: full multi-tenancy, VDI OS Web Manager, Orchestrator System, Software Defined Storage manager, unlimited scalability, predictable performance, user experience and system monitoring as well as application management functionality, etc. The solution is delivered in a highly efficient, self-contained hyper-converged appliance, which is linearly scalable from 100 to 50,000 users, specifically designed and highly customized for Citrix XenDesktop. Flexxible|VDI OS Manager promotes two-way admin, direct to Citrix consoles or though Flexxible|VDI OS Manager. Our simplified management enables L1 and L2 support teams to use an awesome web responsive console to manage the daily issues and also de provisioning needs. Kilian Arjona (CTO, Flexxible IT) has more than 15 years of IT experience, specializing in consulting, evangelism and training. He has more than 7 years of experience in digital workspace transformation projects and he is part of the decision and strategic boards of the company. In his spare time he has a strong dedication towards the research of emerging technologies and sharing knowledge in different tech communities. Sagnik Datta is the Technical Marketing Specialist for Citrix Ready working with over 1000 Citrix Technology Partners supporting their technical integration with Citrix XenDesktop/XenApp and go-to-market activities in Financial Services, Healthcare and Education vertical hosting such as webinars, technical blogs, podcasts and white paper.